When someone visits www.craufurdland.co.uk we use tracking software to monitor its visitors to better understand how they use it. The software will save a cookie onto your computer’s hard drive in order to track and monitor your engagement and usage of the website, but will not store, save or collect personal information. Our website is hosted on WordPress . We use a standard WordPress service to collect anonymous information about users’ activity on the site, for example the number of users viewing pages on the site, to monitor and report on the effectiveness of the site and help us improve it. WordPress requires visitors that want to post a comment to enter a name and email address. Craufurdland Ltd website contains links to websites owned and operated by third parties. We do not accept responsibility or liability for the protection of data collected on these websites and we recommend you review their privacy policies. If you are aged 16 or under, please ask your parent/guardian’s permission before you provide any personal information to Craufurdland Ltd. The Craufurdland Estate uses a third party service to help maintain the security and performance of the Craufurdland Estate website. To deliver this service it processes the IP addresses of visitors to the Craufurdland Estate website. If you send us a private or direct message via social media the message will be stored on the social media platform. It will not be shared with any other organisations. When you call Craufurdland Estate we do not record any telephone calls. If we receive a complaint from a person we make up a file containing the details of the complaint. This normally contains the identity of the complainant and any other individuals involved in the complaint. Craufurdland Estate offers various services to the public. We have to hold the details of the people who have requested the service in order to provide it. However, we only use these details to provide the service the person has requested and for other closely related purposes. For example, we might use information about people who have requested a particular service to carry out a survey to find out if they are happy with the level of service they received. How and when will Craufurdland Ltd use information collected about you? Where Craufurdland Ltd proposes using your personal information for any other uses we will notify you first. You will also be given the opportunity to withhold or withdraw your consent for the use of your personal information for purposes other than those listed above. Will Craufurdland Ltd disclose your information to anyone else? We will keep your information confidential except where disclosure is required or permitted by law (for example, to government bodies and law enforcement agencies) or as outlined below. We may share your personal information internally (i.e. 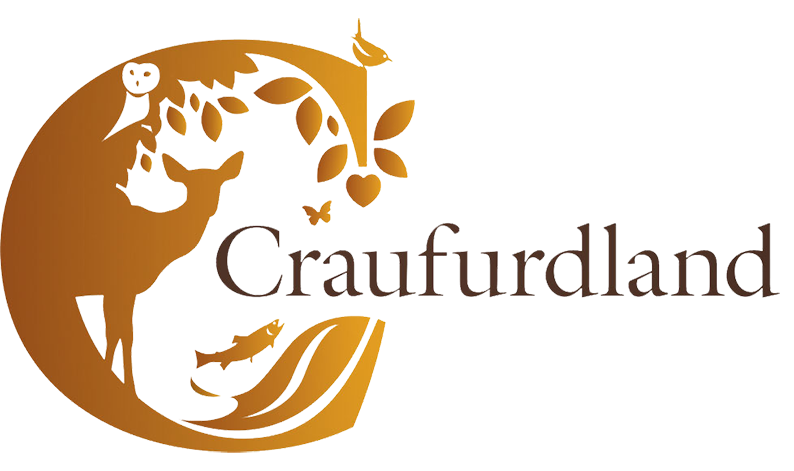 between departments in Craufurdland Ltd), for example, the hospitality department may be informed of customers who have signed up for a particular activity so that they (the hospitality department) can then provide information on services available to enhance the activity experience. If you post or send offensive, inappropriate or objectionable content anywhere on or to Craufurdland Ltd websites or digital communications channels, or otherwise engage in any disruptive behaviour related to Craufurdland Ltd activities, Craufurdland Ltd may use your personal information to stop such behaviour. Where Craufurdland Ltd believes you are or may be in breach of any applicable laws or regulations (e.g. because of content you have posted that may be defamatory), Craufurdland Ltd may use your personal information to inform relevant third parties such as your employer, or the appropriate regulatory body. Craufurdland Estate is the data controller for the information you provide during the process unless otherwise stated. If you have any queries about the process or how we handle your information please contact us at info@craufurdland.co.uk. Anyone shortlisting applications for interview, will not be provided with your name or contact details or with your equal opportunities information if you have provided it. Data processors are employed by Craufurdland Estate; they cannot do anything with your personal information unless a Manager has instructed them to do it. They will not share your personal information and it is held securely and retained in line with the retention policy. If you are eligible to join our Pension Scheme details will be provided to NEST who are the administrators of our Pension Scheme. You will be auto-enrolled into the pension scheme and details provided to NEST will be your name, date of birth, National Insurance number and salary. Your bank details will not be passed to NEST at this time. We advertise vacancies on Indeed. Vacancy Filler will provide us with management information about our recruitment campaigns. This is anonymised information which tells us about the effectiveness of campaigns, for example, from which source did we get the most candidates, equal opportunities information for monitoring purposes. This anonymised information will be retained for 6 years from the end of the campaign. Craufurdland Estate tries to meet the highest standards when collecting and using personal information. For this reason, we take any complaints we receive about this very seriously. We encourage people to bring it to our attention if they think that our collection or use of information is unfair, misleading or inappropriate. We would also welcome any suggestions for improving our procedures. This privacy notice was drafted with brevity and clarity in mind. It does not provide exhaustive detail of all aspects of Craufurdland Estates collection and use of personal information. However, we are happy to provide any additional information or explanation needed. Any requests for this should be sent to the address below. If you want to make a complaint about the way we have processed your personal information, you can contact us at info@craufurdland.co.uk. To make a request to Craufurdland Estate for any personal information we may hold you need to put the request in to the address provided below. We keep our privacy notice under regular review. This privacy notice was last updated on 10 April 2018.